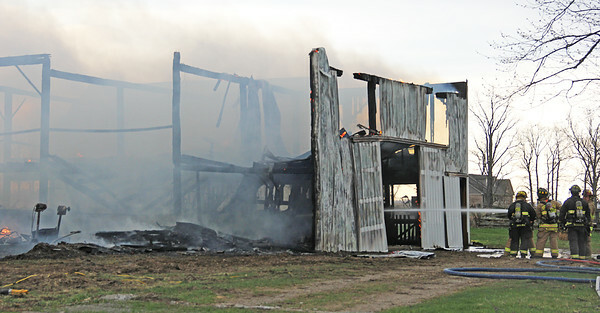 FIRE DESTROYS BARN: Fire destroyed this barn at 5745 N 350 E, Lebanon, about 4 p.m. Wednesday. Lebanon Fire Department Deputy Chief Robert Wirey said the cause had not been determined. The barn did not contain livestock, Wiey said. Smoke from the fire, at the farm just south of state Route 47, was visible from the eastern edge of Lebanon. Crews from Lebanon, Center Township, Zionsville and Kirklin fire departments responded.